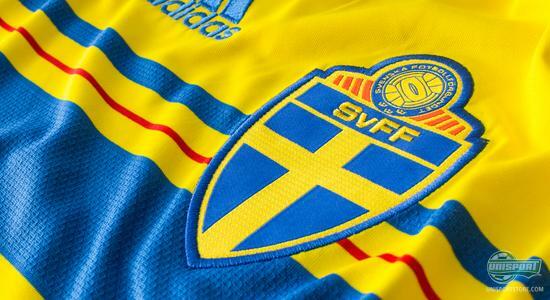 The Swedes are more than ready to give their all in their fight to make it to the World Cup in Brazil, and with a brand new shirt the Swedes are certain to be well dressed whether they end up qualifying or not. Come along as we take a closer look at the new shirt right here. This Friday Sweden will play the first of two decisive qualification matches against Portugal. 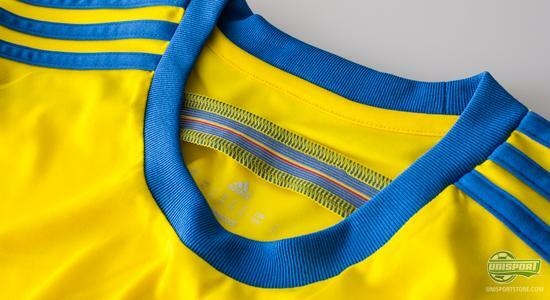 Not only will this occasion be a clash with two of the worlds best footballers, Zlatan Ibrahimovic and Cristiano Ronaldo, it will also the début of the new Swedish national team shirt, delivered by Adidas. Are you looking to support the Swedish national team  then go ahead and order the shirt right here. If this will become a World Cup shirt we have yet to see. It will all depend on the results of the two qualification games. 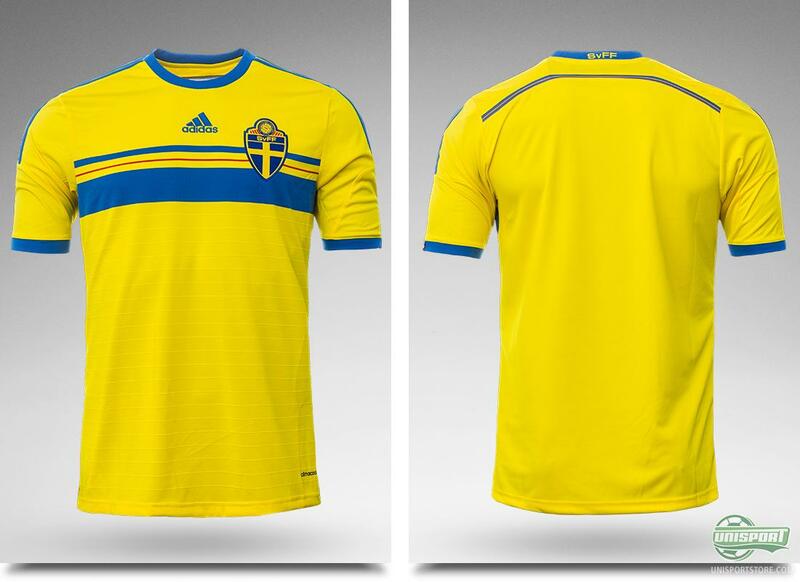 It is, although, certain that this shirt has the style and elegance to represent Sweden in Brazil next summer. 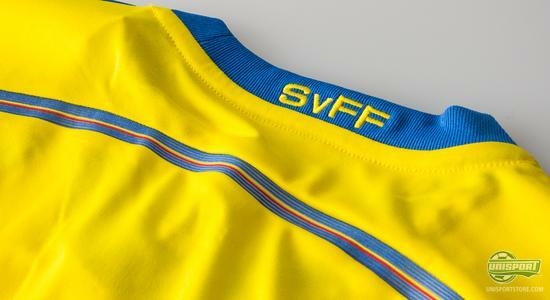 Not surprisingly, the Swedes shirt displays the very characteristic and classic yellow and blue colours. The shirt has a stylish look, as well as being modern with the large and wide blue stripe running across the chest. That in itself may not be considered modern in terms of a Swedish national team shirt, but in the wide blue stripe they have also found room for a thin red stripe, as well as a smaller blue stripe. 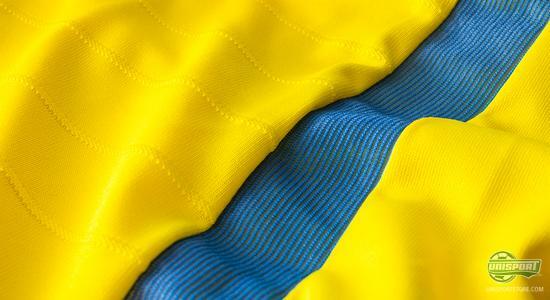 The red colour has snug in, as it is a part of the proud Swedish football associations logo, and it blends in nicely with the yellow and blue colours. In addition, it also communicates that the Swedish national team players are ready to fight with passion and will in order to bring Sweden straight to Brazil and the big football fiesta of next summer. 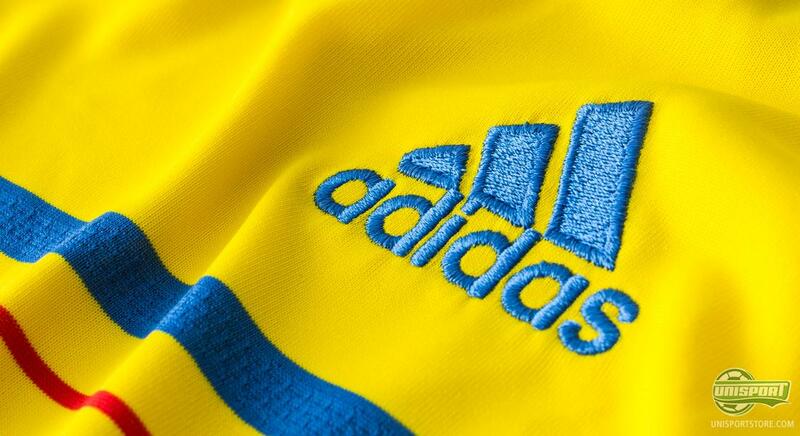 Adidas have also worked on refining the general display of the shirt. They have focused on even the smaller details, and they have made optimal use of the entire shirt in order to show the Swedish football passion. 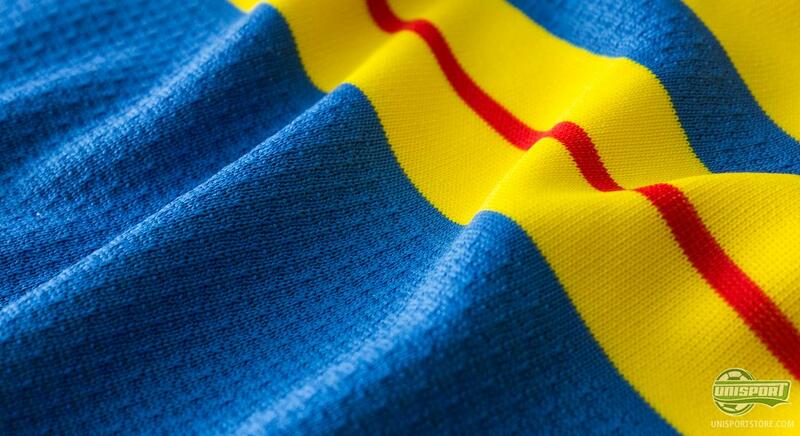 The sleeves show an example of just this, with an elegant blue stripe with the Swedish flag. 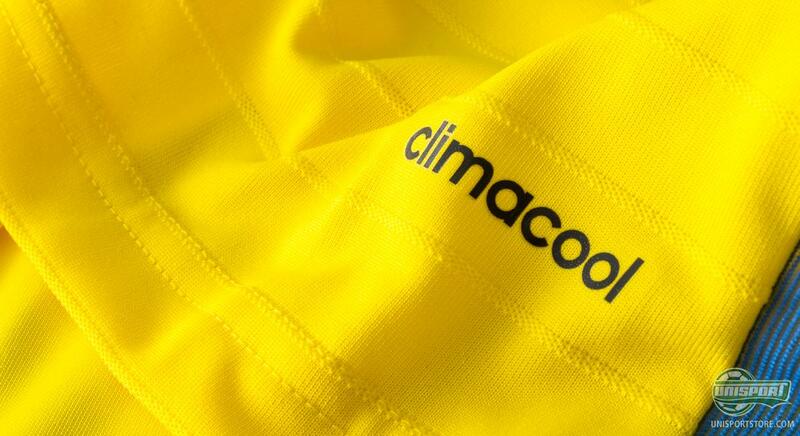 The shirt has been produced with the advanced Adidas Clima Cool material, which on top of being light delivers perfectly even in tough conditions. The Clima Cool material is made to wick sweat and moisture away from your body, so you don't overheat. The Swedes will surely make use of this feature as they take on Portugal over two matches. it shall be exciting to watch the new shirt in action tomorrow, as Sweden clash with Portugal and will try to come out victorious after the two games. This is surely not an easy task for Zlatan and the rest of the Swedes, but what a triumph it would be and a perfect start for the new shirt. 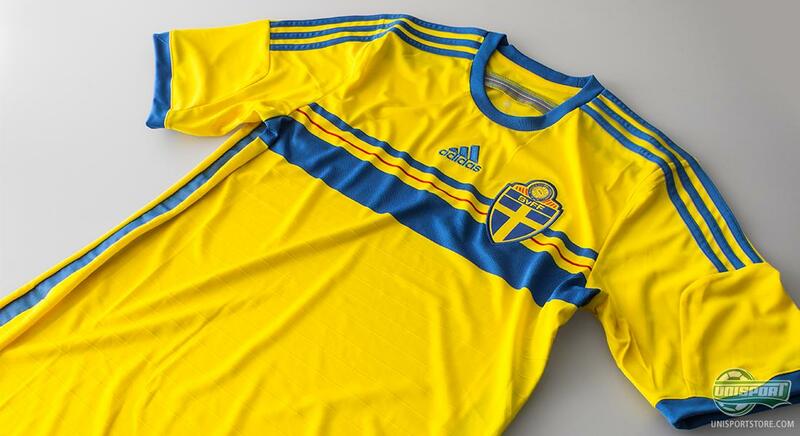 The new Sweden national team shirt is ready, and with this shirt the Swedes will try to play their way to the World Cup over two very tough games against Portugal. What do you think of the new shirt? 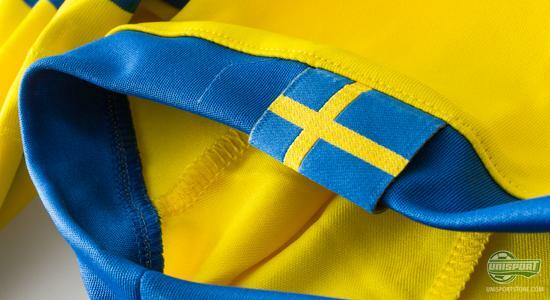 And do you believe Sweden will be able to qualify for the World Cup? As always, you are very much welcome to leave a comment, either here or on Facebook and Twitter.